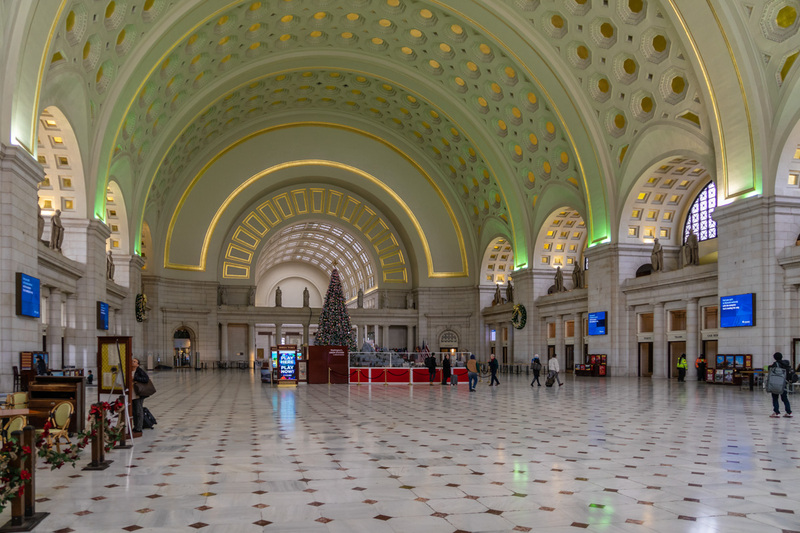 Spontaneity has not been much of a feature of my traveling exploits lately, but the Christmastime trip to Washington had a bit of spontaneity in it. It was originally conceived as an opportunity for moms to do things with kids, and my participation in that was vague at best. 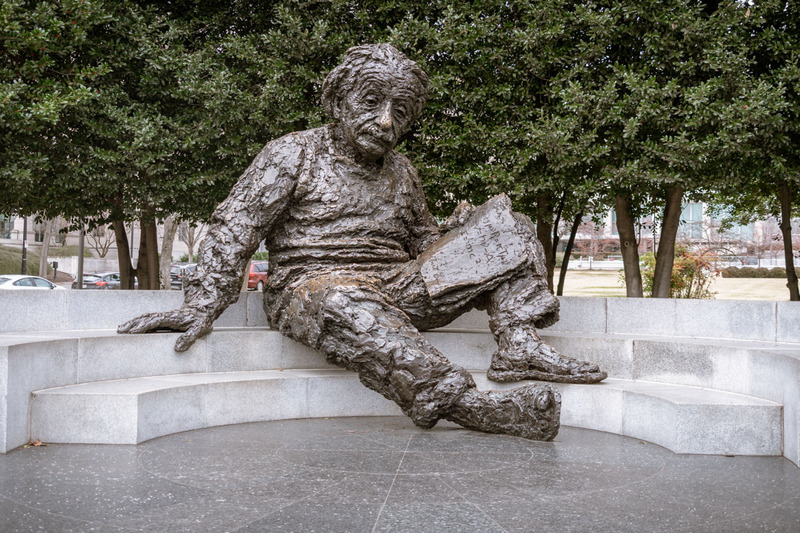 Just a few days before the departure, while discussing the itinerary, I suddenly recognized that I was afforded a chance for a self-guided photo-walk around the city while the rest of my family would be engaged elsewhere. 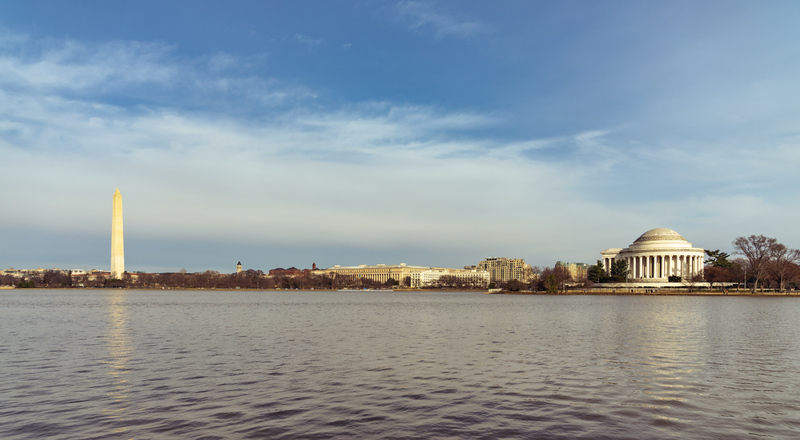 The last of my past trips to the Washington area had happened way before I re-ignited my enthusiasm for photography, so my picture archives of the United States capital city were pretty thin. 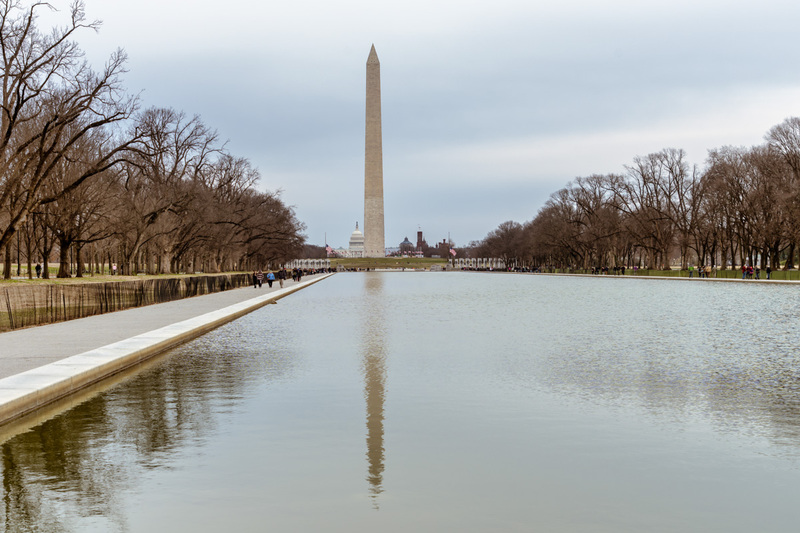 So I took my camera and on the morning of December 25th somewhat unexpectedly found myself walking around the National Mall in Washington, DC. I focused almost entirely on the well-known landmarks and monuments. Starting with that majestic sight of the US Capitol. 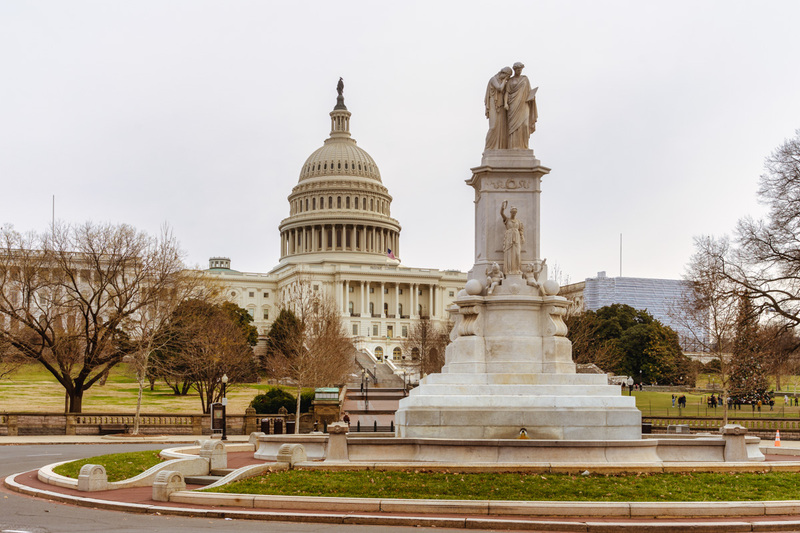 That is the frontal view across the Capitol Reflecting Pool, with the equestrian statue of the Ulysses S. Grant Memorial in the foreground. A different angle, this time fronted by the Peace Monument. 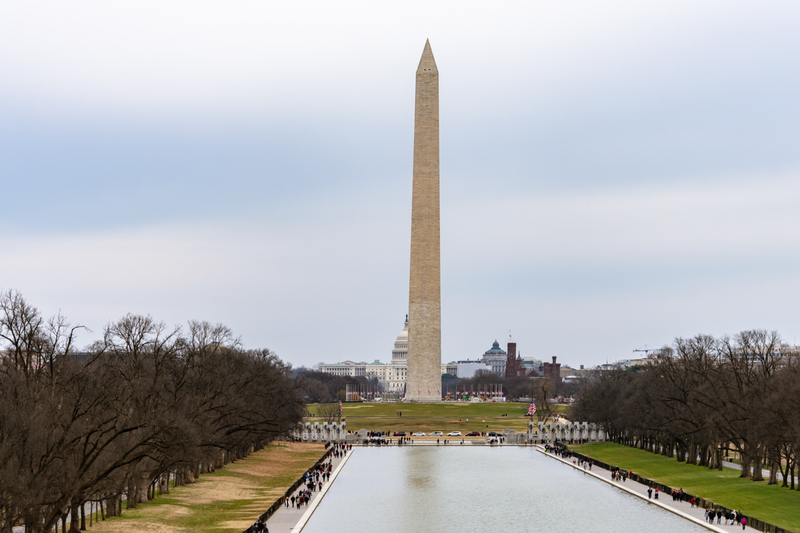 From the elevated platform of the Grant Memorial a view across the length of the National Mall, all the way to the Lincoln Memorial, with the obelisk of the Washington Monument as its dominating feature. Lens compression at a high focal length plays its usual trick here. 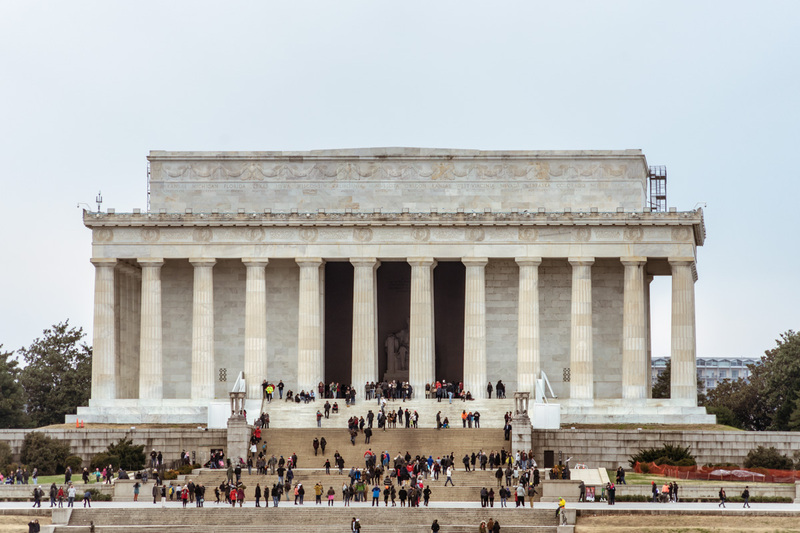 There are over two miles from where we stand to the Lincoln Memorial. 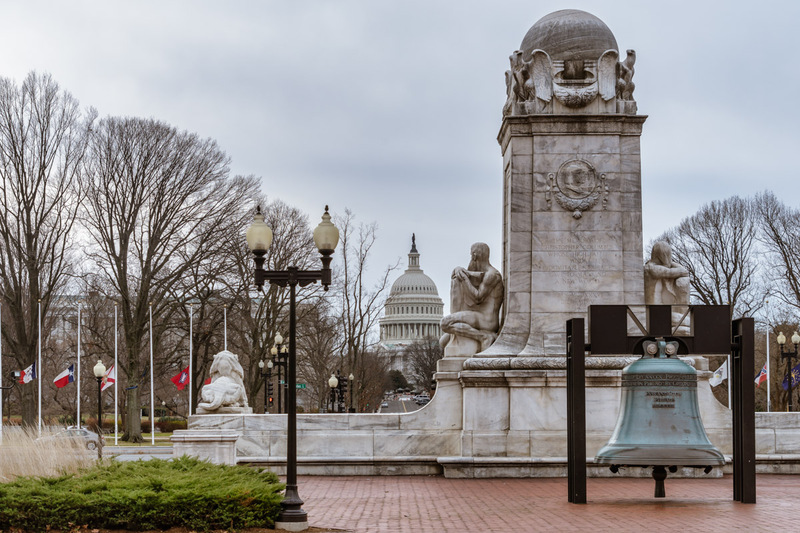 The Mall between here and the Washington Monument is flanked on both sides by the national museums of the Smithsonian Institution. 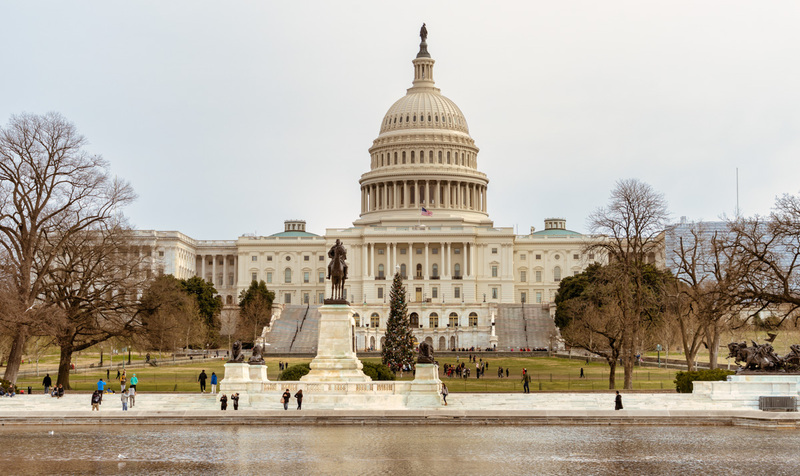 There are two branches of the National Gallery of Arts, the Museum of Natural History, the National Air and Space Museum, and others. 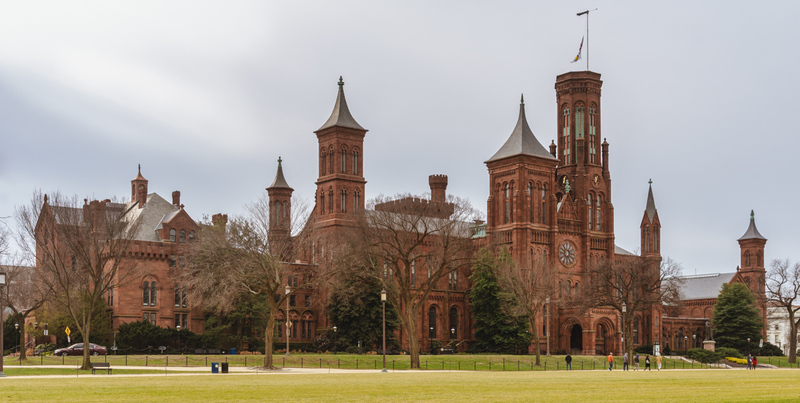 Probably the most eye-catching of them all architecturally is the building that is not truly a museum, but rather the National Mall visitor information center, the Smithsonian Castle. Early in the morning on Christmas Day there were not that many tourists around, but the food trucks were already open for business in several places. Notice how close to each other they are parked, with not a millimeter of spare space for maneuvering. 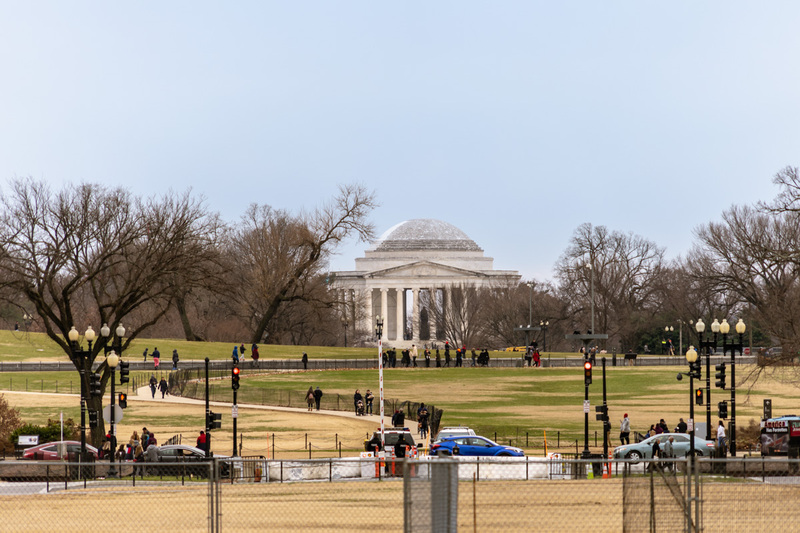 Next, I stopped by the White House – or rather by the closest accessible point on the green area known as the Ellipse from where the White House can be seen, still roughly 200 meters from the building. 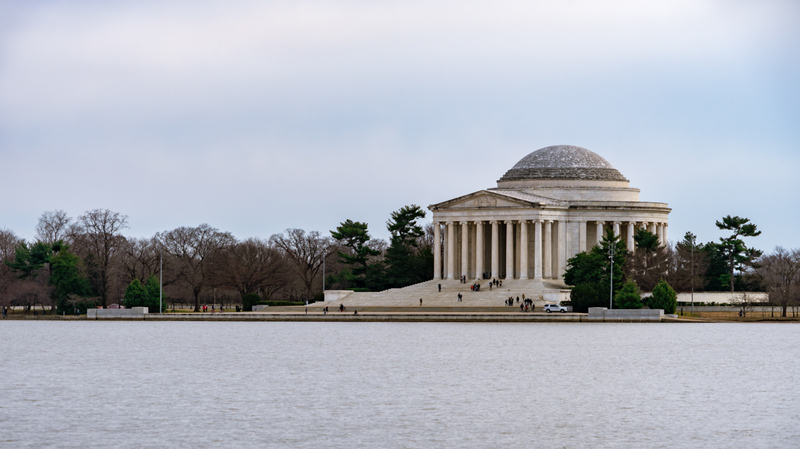 About a mile away in the opposite direction is the Jefferson Memorial, on the north-south axis that is perpendicular to the main one of the National Mall. 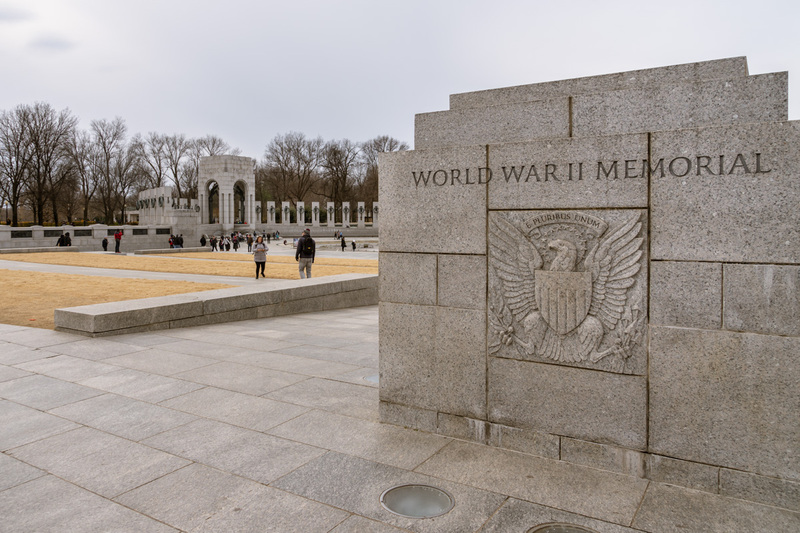 My next stop was the World War II Memorial, a comparatively recent addition to the monumental complex of the National Mall, dedicated in 2004. 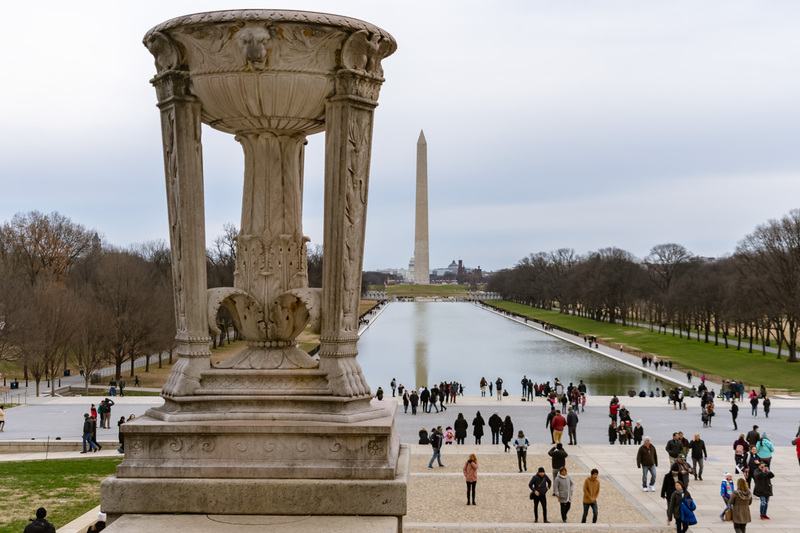 The memorial consists of two sets of pillars looking at each other across the fountain, which unfortunately is turned off in winter. 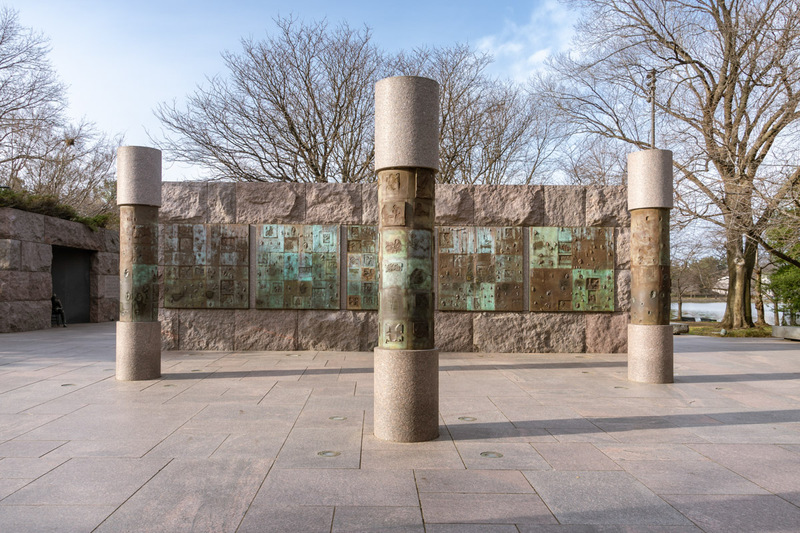 Scenes of the war experience are pictured on each of the pillars. 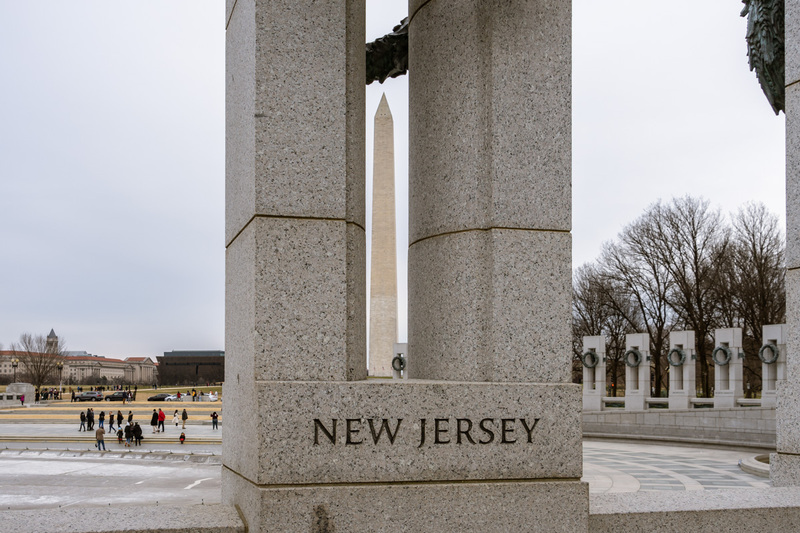 The pillars are inscribed with the names of US States and Territories that were part of the Union at the time of the Second World War. The central arches bear the inscriptions of Pacific and Atlantic. 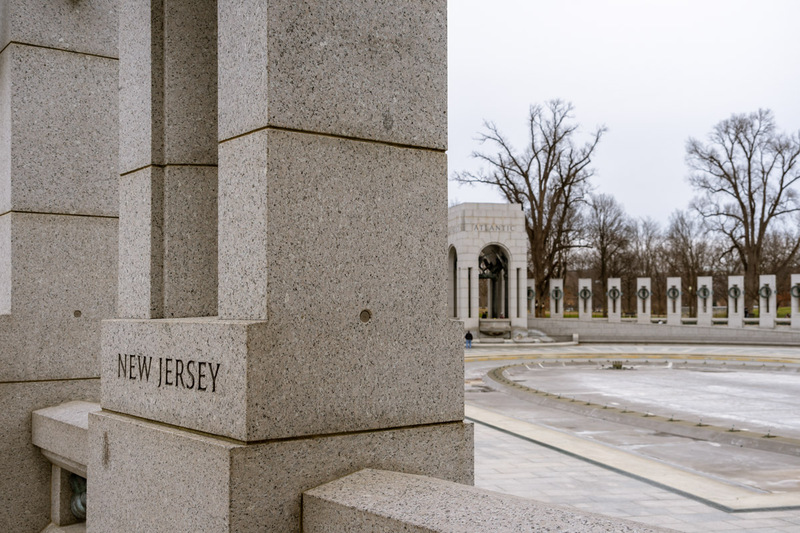 Somewhat counterintuitively, most of the Atlantic coast states are inscribed on the pillars on the Pacific side of the memorial. 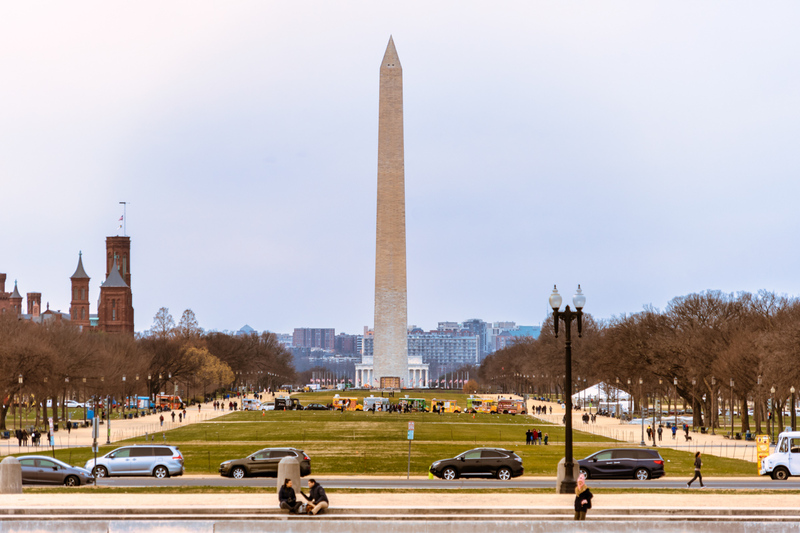 I also used the New Jersey pillar as the frame for the Washington Monument in this next shot. 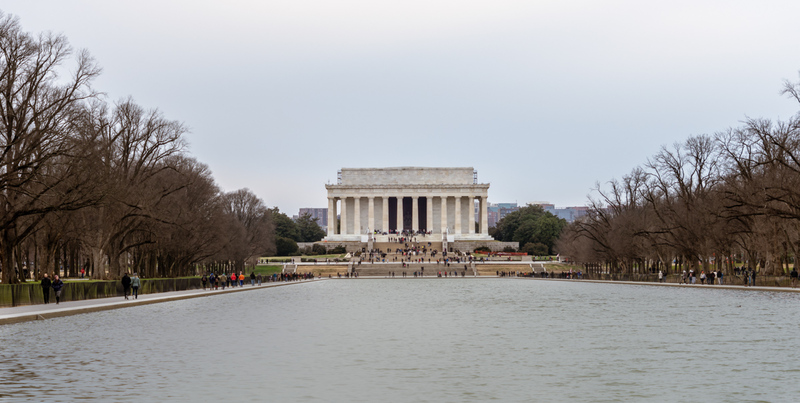 A long narrow reflecting pool lies between the World War II Memorial and the Lincoln Memorial. Here is the Lincoln Memorial up close. 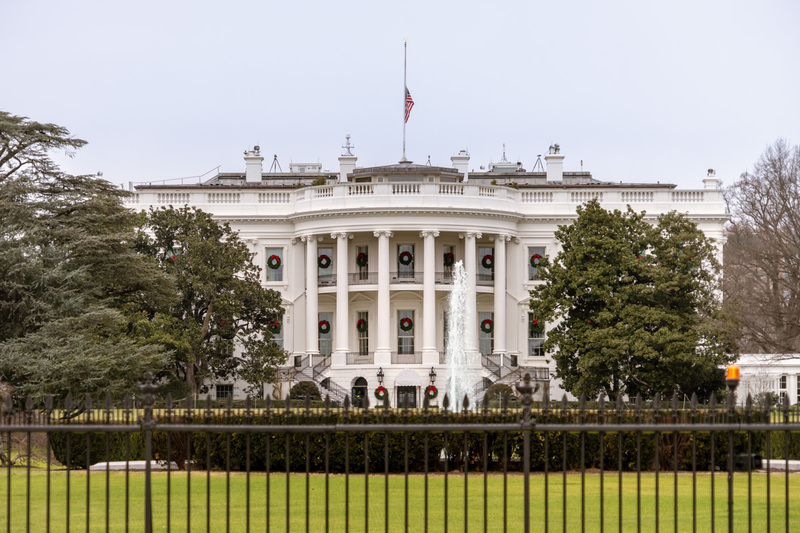 The number of people here, even on Christmas, suggests that it is the most popular of all of the monuments in and around the Mall. 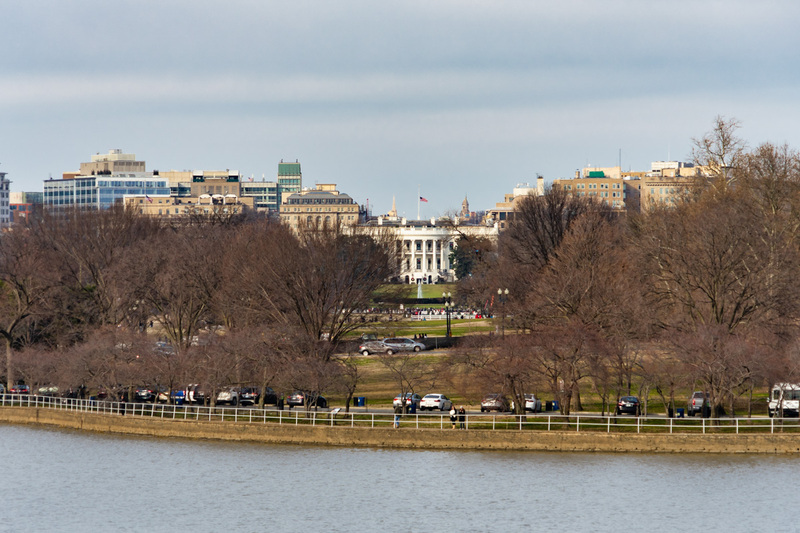 The perspective from here across the National Mall towards the Capitol is worthy of several different angles and focal lengths. 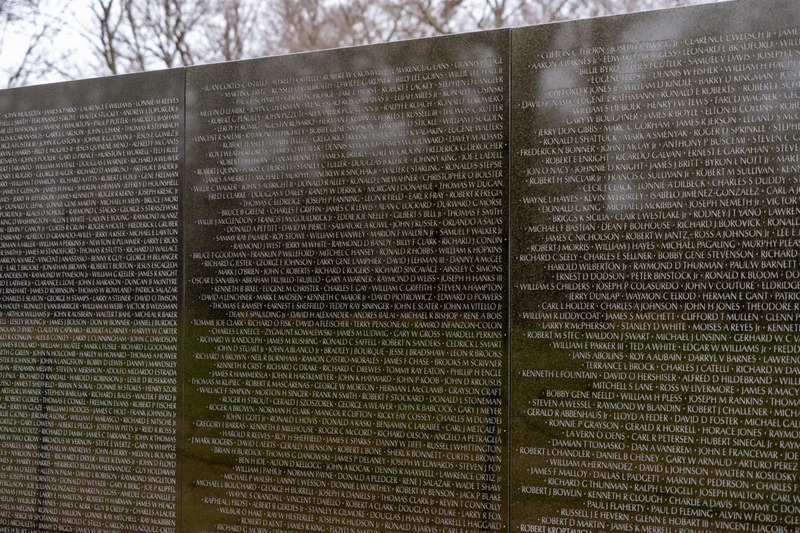 Nearby is the Vietnam Veterans Memorial, one of the simplest and most somber monuments you’ll ever come across. 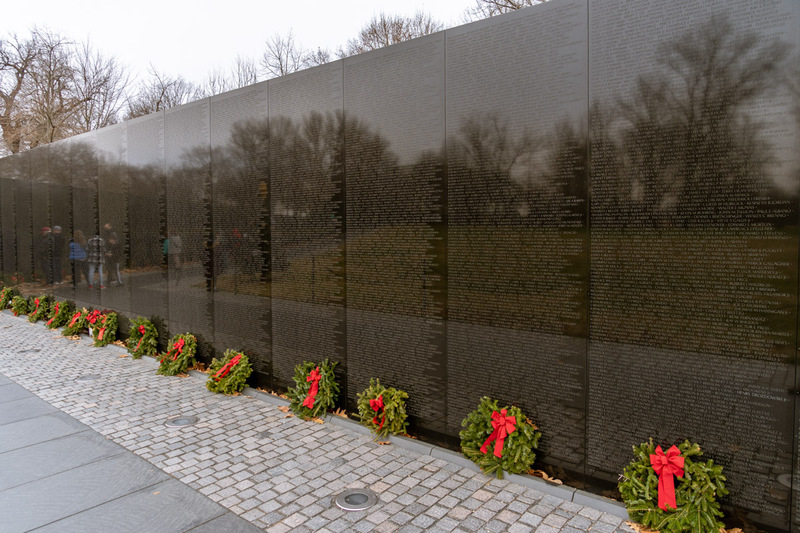 It is but a black wall bearing the names of all of the US military personnel who lost their lives in the Vietnam War. 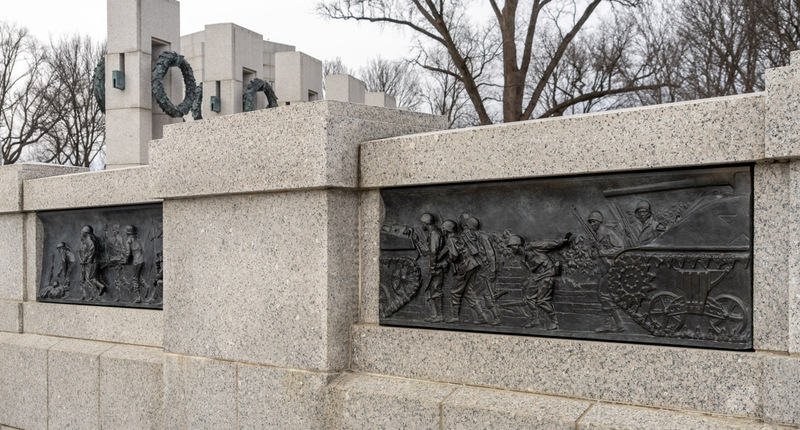 The inscriptions are not alphabetical and only show the names, with neither rank nor unit nor place of birth nor any other identifying information. 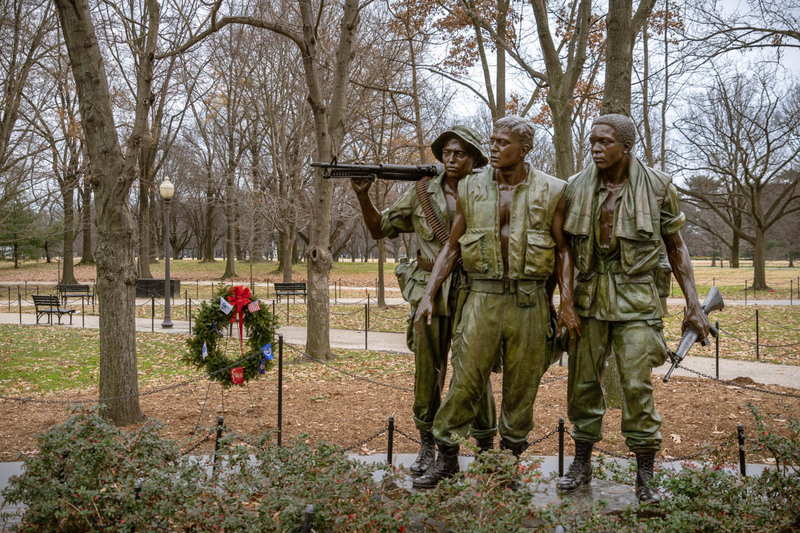 The Three Servicemen statue is another part of the memorial that stands slightly apart facing the memorial wall. 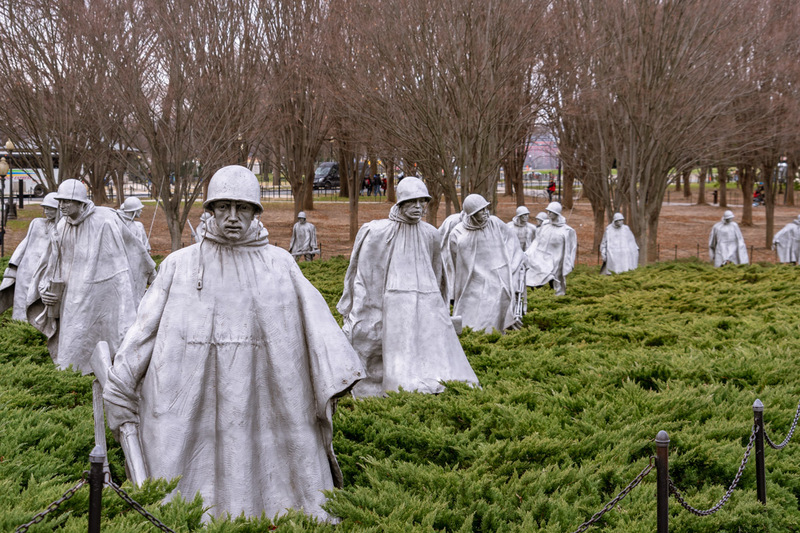 Korean War Veterans Memorial commemorates those who fought in that war with the depiction of a platoon on patrol that I found very evocative. 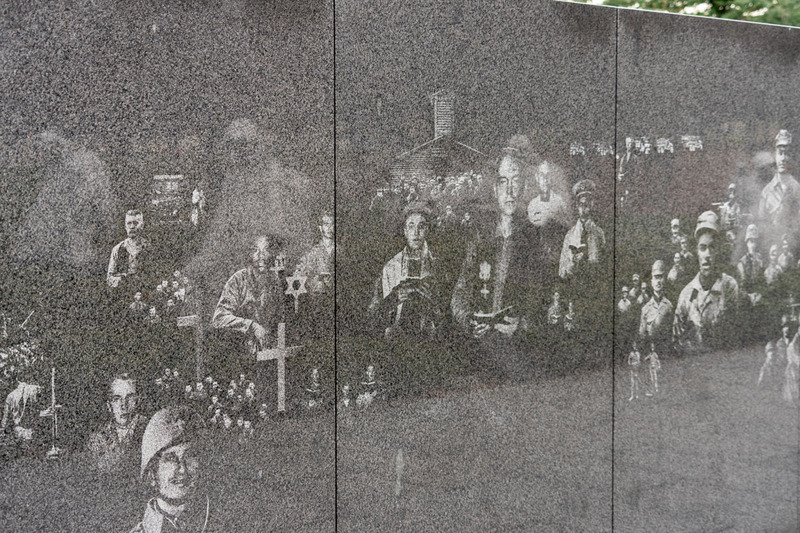 The mural wall on the side of the memorial displays over 2,500 archival images of troops involved in the war. 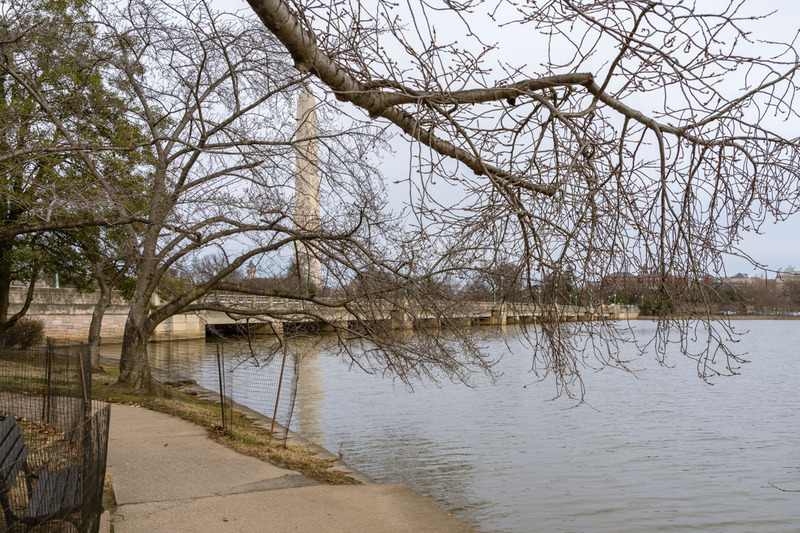 By this time, I have left the National Mall and started a trek around the Tidal Basin, a rather photogenic body of water. 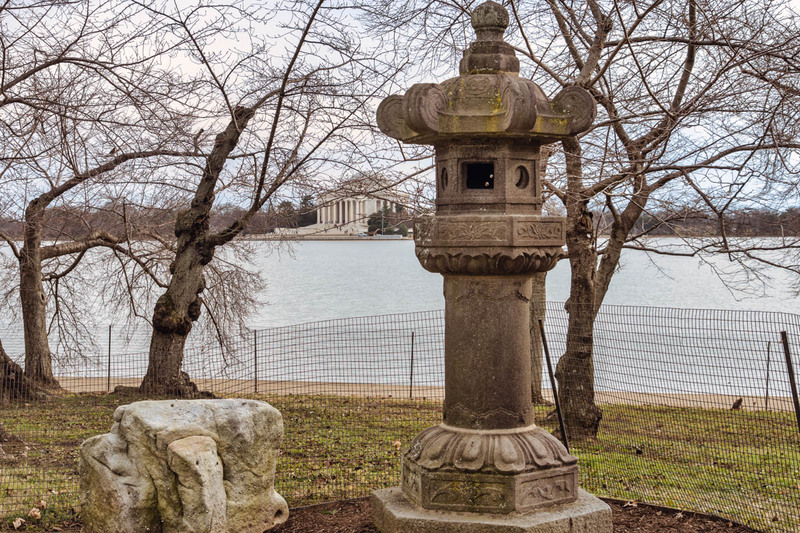 My first stop around its edge was the Japanese Lantern, created in 1651 and brought to DC in 1912 when the first of the famous Japanese cherry trees were planted. It is lighted during the annual National Cherry Blossom Festival, but since I was in town at a wrong time of the year for that, I had to make do with the Jefferson Memorial in the background. Washington Monument is seen unobscured from many points in the center of the city, so I wanted to capture it for once semi-obscured. 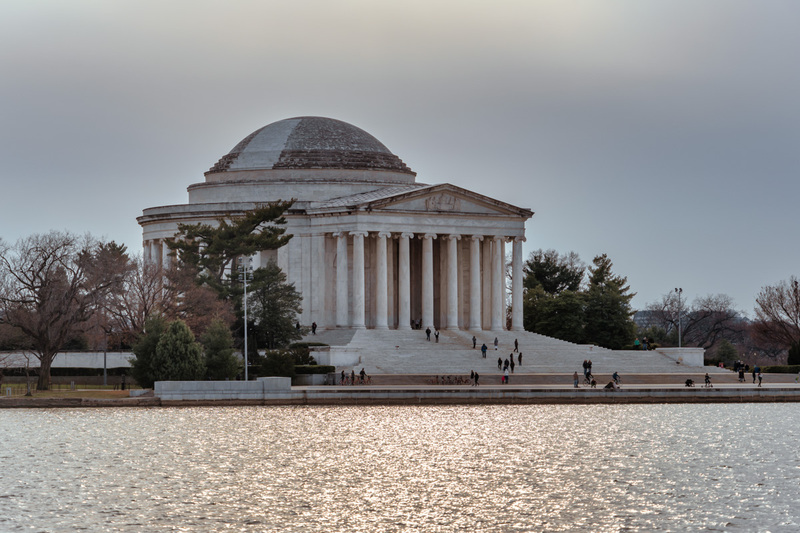 The classical Palladian shape of the Jefferson Memorial – seen across the Tidal Basin – is among the loveliest sights in town. A wider view from another point at the edge of the Basin. 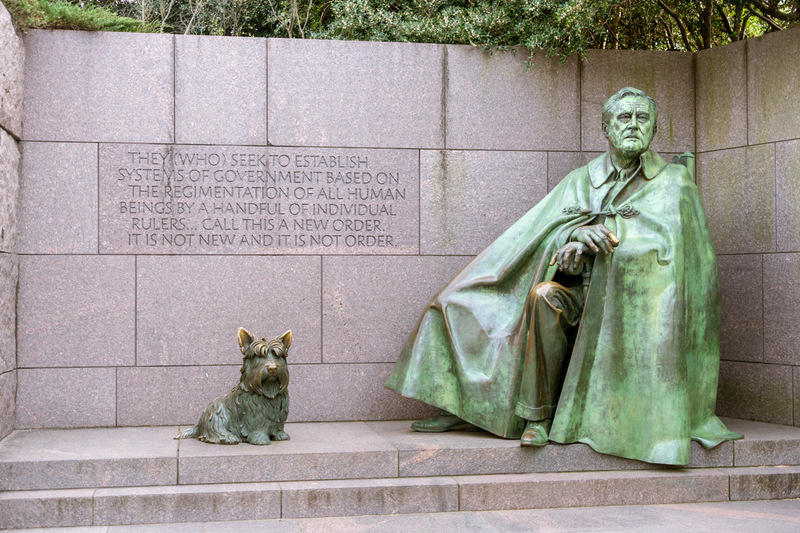 The presidential memorial that I think makes the biggest impact on the visitor is that of Franklin D. Roosevelt. 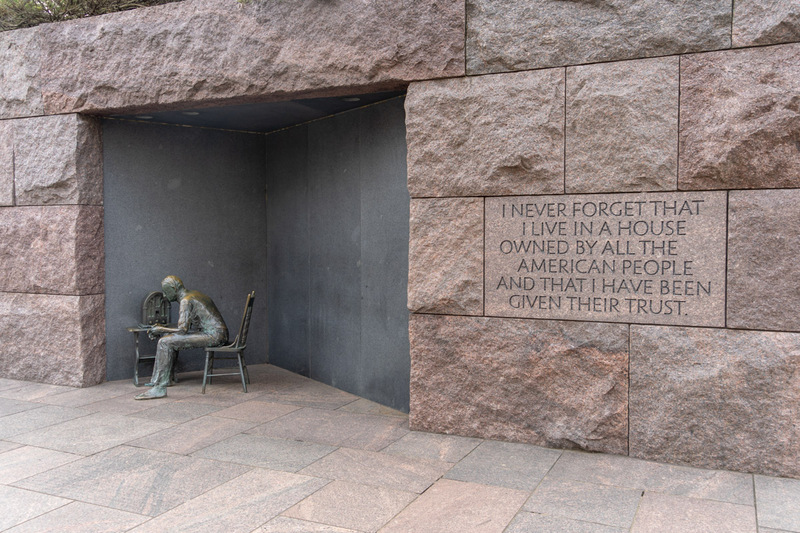 It is larger than other memorials and, instead of a single structure, it is manifested as a rock garden with a number of statues and a selection of the most famous lines from FDR’s speeches immortalized in stone. 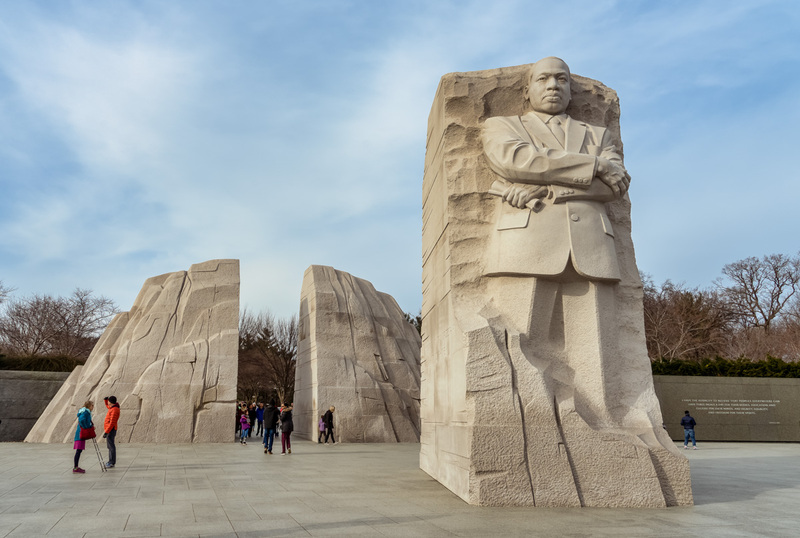 Martin Luther King Jr. Memorial is the most impressive of non-presidential ones. The opposite look along the north-south axis, to the White House. Yet another view of Jefferson Memorial. 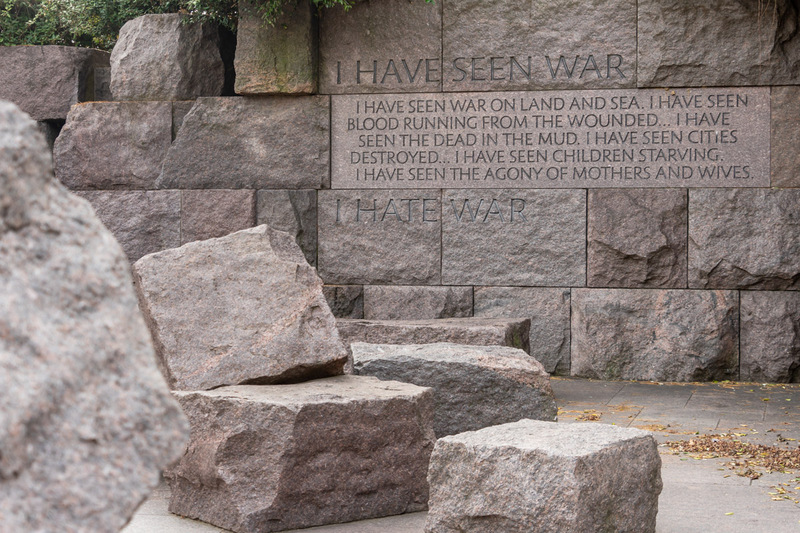 Presidents, soldiers, and politicians are not the only ones recognized around the Mall. Here is, for instance, Albert Einstein. 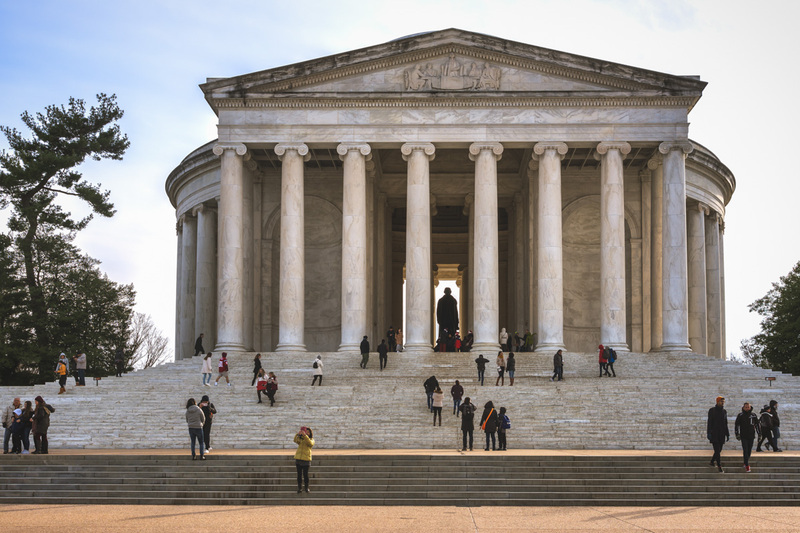 Classical buildings on or around the National Mall are interspersed with modern ones. 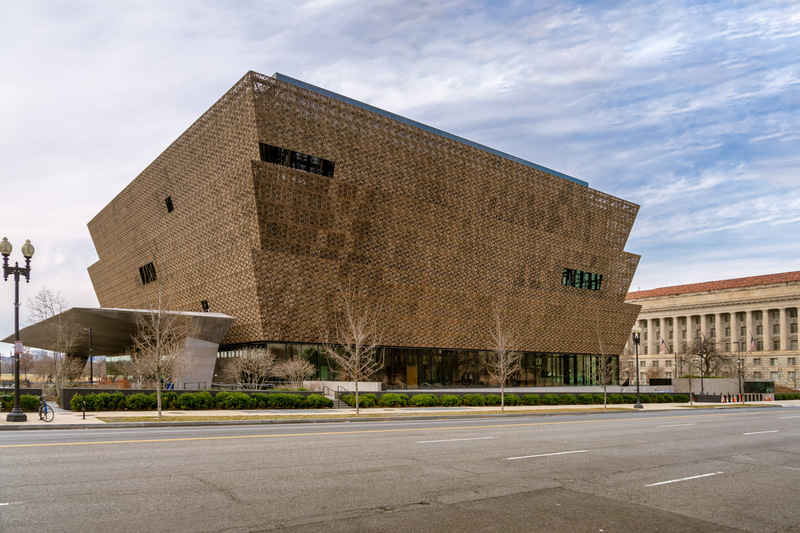 This is the National Museum of African-American History. The National Cathedral is quite some distance from the Mall, but I decided to take a drive there after the conclusion of my walk. 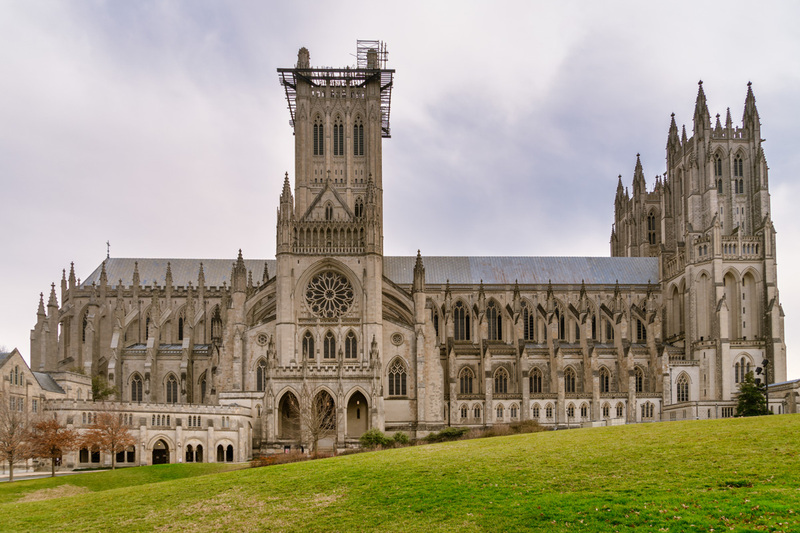 Structurally finished only in 1990, it has a veritable look of a Gothic cathedral suitable to medieval Europe. I also stopped by the Union Station. That was in the early morning – the place was nearly deserted. The view from here towards the Capitol. 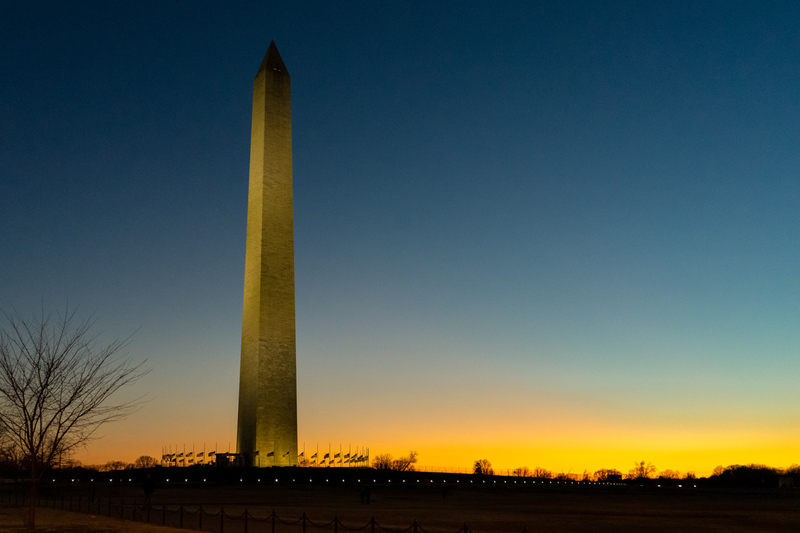 And, finally, a sunset shot of the Washington Monument. Now that I covered the major monuments I can focus on smaller details in the city on my next visit, whenever it comes. A slightly more extended collection of pictures can be found in my Flickr galleries.